Shantae: Half-Genie Hero Summer Surprise Adds Free Blaster Master DLC And New "Jammies Mode"
Now, a new free update - for all versions of the game - has arrived bringing an all-new "Jammies Mode" to the game. The brand new adventure is all about playing in your jam-jams, as Shantae pillow fights her foes, floats on a dream-like cloud and deploys sleepy sheep projectiles to deal huge amounts of damage. In addition to this is a new Transformation Dance for the main adventure - allowing Shantae to transform into Sophia III from Blaster Master Zero and blast her enemies to bits. Take a look at the official Summer Surprise trailer above, and tell us in the comments if you’re excited about the latest DLC for Shantae: Half-Genie Hero. Oh, how Wayforward spoils us. I'm always up for more Shantae action. Oh, WayForward, you delightful lovelies. Here is to Shantae 5! Too bad that they didn’t bring back those cute cat pajamas from the art book. Holy cow, that “warning a new transformation approaches” thing gave me goosebumps. Shantae for Smash please! I was hoping for different Shantae news, but this is good, too. Wayforward is a class act! That is great news! I've been stuck on a level. Might restart in the jammies mode. @holygeez03 and it’s hardly the weirdest thing in the series, with things like a zombie friend who sorta wants to eat your brain but your friends so she’ll just ask you again every so often, besides zombies also like coffee. Got the news by email as a backer. So much content, thanks Wayforward! Not sure if this changes gameplay at all but hey, free content is nice regardless. Thanks WayForward! They didn't have to, but the fact they did shows how dedicated they are to their craft. Please make another Mighty Switch Force. Those were great fun. Anyone know if they added the Drifter Blade to Risky Mode in the Ultimate Edition with this update? They said they’d patch it in after launch but we heard nothing since. I’m happy that there’s free DLC. What disappoints me though is the recently released Shantae Physical Copy Isn’t the DEFINITIVE VERSION. I want this game. And Steam World Dig 2. Just waiting for a sale. Cool, I'm always up for some more Shantae. Oh Great!! !, more for Shantae is always welcome! Now, well, someone has to say it: Shantae for Smash!!! I adore this series and all of its weirdness. Haha same. I'm thankful for the new free DLC and all but now my physical copy isn't "all on cartridge" now. I really hope that if we get an Indie representative in Smash Bros. it's not Shovel Knight but Shantae. 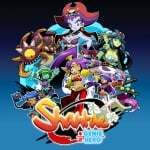 Shantae has been with us since the early days and deserves it more imo. Plus, you can do a lot of fun stuff for her moveset. They didn't have to. We weren't expecting it. It actually isn't necessary. But I love when they spoil us this way. Now I only need a sale on Risky's Revenge Director's Cut on Wii U and in addition to being happy I will have the entire series. @NinjaSyao @Deadlyblack I see no reason not to have both? If Nintendo is gonna add an Indie representative, it's probably going to be only one so yeah... I'm in the Shantae camp! Having both would ofcourse be the best, but I don't see it happening. @RerunVanPelt Well technically it's still the most definitive edition available. I guess this just gives them the possible Capcom route of releasing Ultra Super Shantae Half-Genie Hero Arcade Hyper Hair Edition now. @NinjaSyao Shantae would be very fitting to have in Smash with a few hair attacks and transformations. Sweet you guys rock WayForward. @ShadJV don't forget they only ones with the web. Free you say? I am in! Update: Not available for the Wii u version it seems. I live in Europe. I guess I should get on with it and play Pirate's Curse and then move onto 1/2 Genie Hero. Looks like there's loads of content for it. I really want shantae physical but I’ve already completed it digital. And when a short game like shantae is €45 physical but at the same time I can buy sonic mania plus, owlboy, fifa 18, nba 2k18, WWE 2k18, mario + rabbids and much more for €30 or less each than it’s hard to even consider shantae. Ridiculous and adorable as always! Woohoo Great work Way forward! 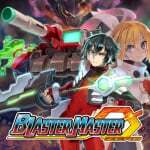 I love the Shantae games, and Blaster Master! @Henmii Really? I'm in the states but have the Wii U version too. We're left out in the cold again, eh? I still hope WF doesn't get the idea of first releasing digital, then physical, then an ultimate physical edition. Unless they start doing it, to the point it is literally routine, & predictable by the fans, they shouldn't do it. That way, the fans can decide which version they want; wait for the physical, or get it early as digital. Co.s, including Nintendo, just love to re-release a game for easy money. But, if I know I can eventually get (a game) physical, I'll wait it out. I prefer physical. Edit: Understand, I take zero issue with a free update. My only issue is, like has been mentioned in comments above, the physical version is no longer (a) 100% complete, stand-alone game. The issue for games with updates, is the ability, or lack thereof, to purchase the game, in the future, & from some source, be able to apply those updates legitimately. Cute, cute, cute, I love it. I've long been satisfied with 1/2 Genie Hero, but this is cool nonetheless. Another Reason WayForward and Inti-Creates are among my favorite companies. I checked again this morning...nope. The video also mentions the Wii u, but its not available sadly. Maybe I should mail them?